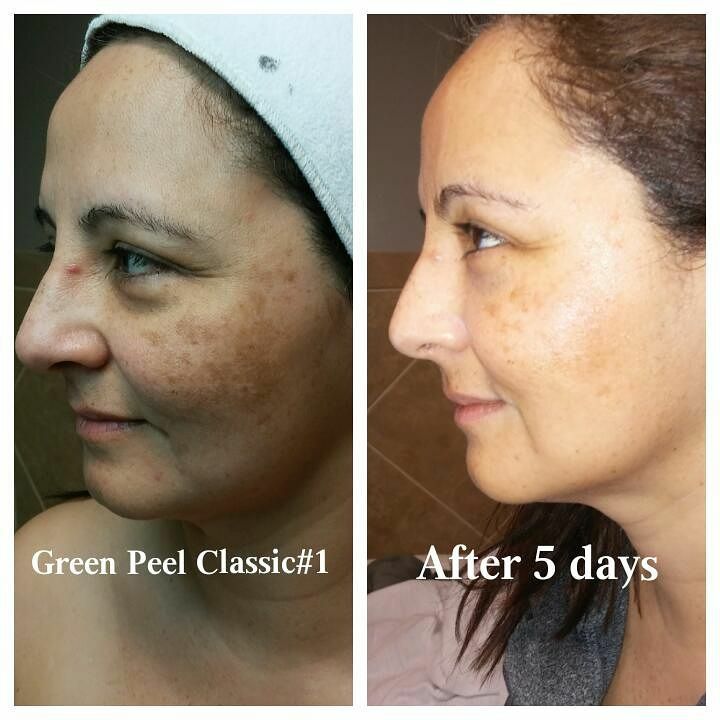 This is the "classic" among the GREEN PEEL® peeling treatments. 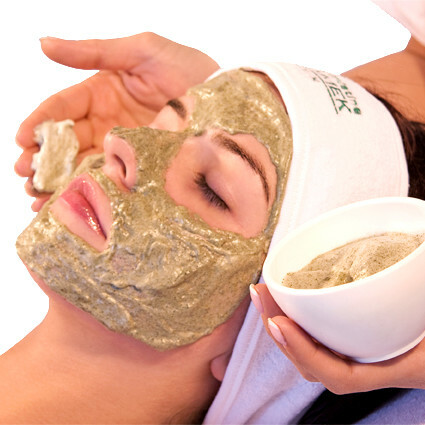 After a thorough evaluation, the Herbal Peeling mixture is intensively massaged into the skin. 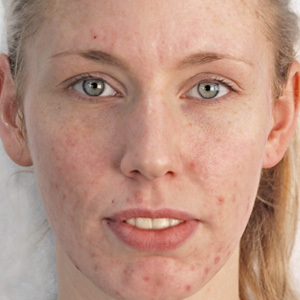 Blood circulation is increased, the supply of oxygen and nutrition is improved and skin renewal is stimulated. 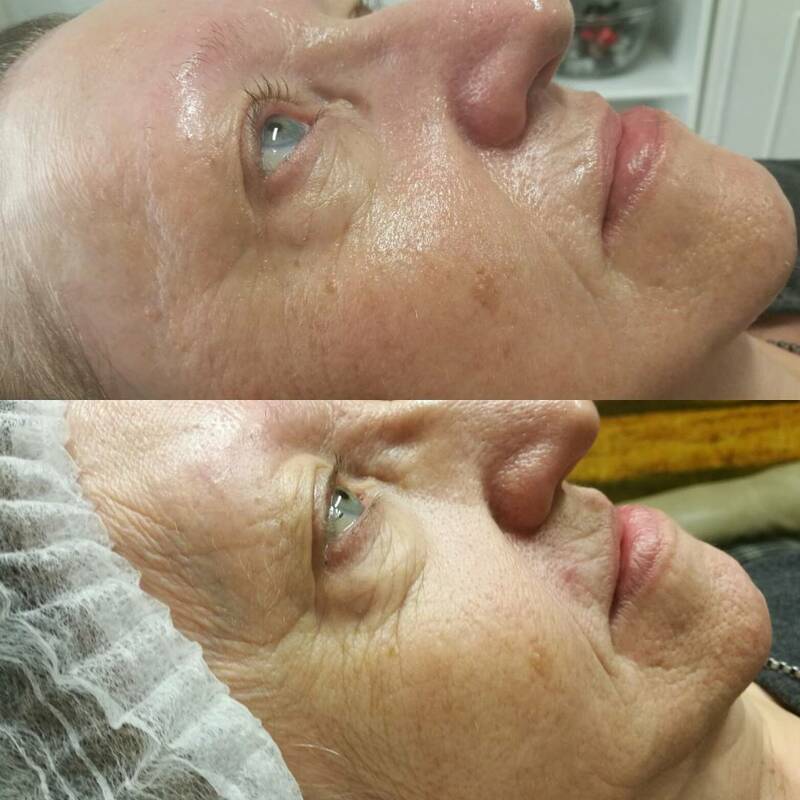 This effect is stopped after two to five days depending on the skin texture with a more or less strong peeling process of the skin. 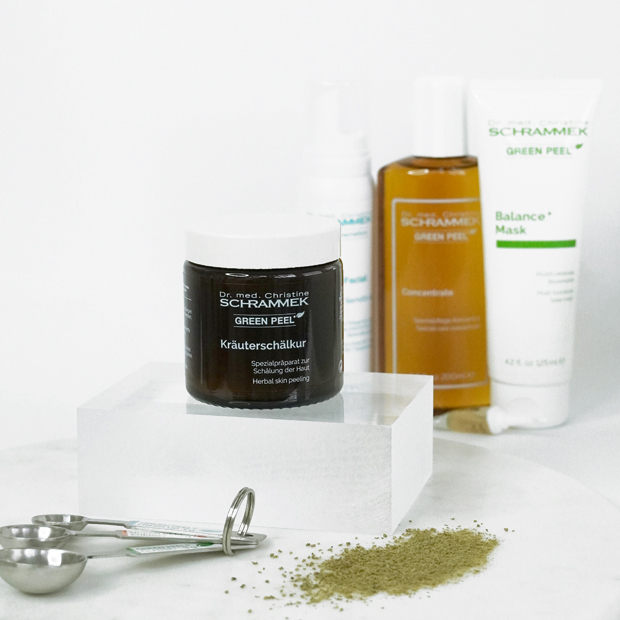 During this time, the skin needs to be treated at home with special Dr. Schrammek skin care products. 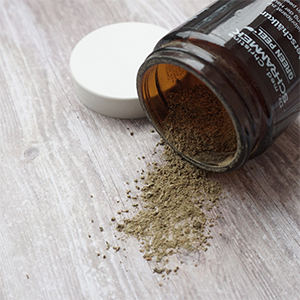 To conclude the GREEN PEEL® Herbal Peeling Treatment Classic, the aesthetician performs a beauty finishing treatment after five days and nourishes the now particularly receptive skin with valuable ingredients. 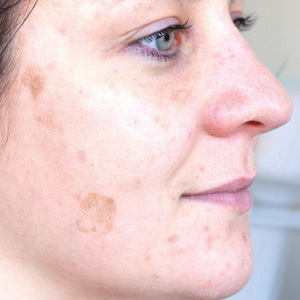 With this method, there is also no peeling effect. 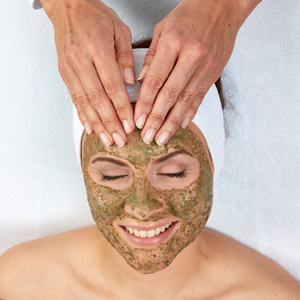 Instead, the skin is stimulated and refreshed with natural herbs. 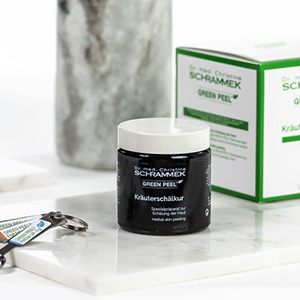 Blood circulation is stimulated, pores open and the skin is now able to optimally absorb the ingredients of the subsequent skin care. 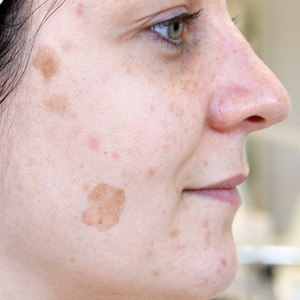 The complexion appears brighter and fresher. 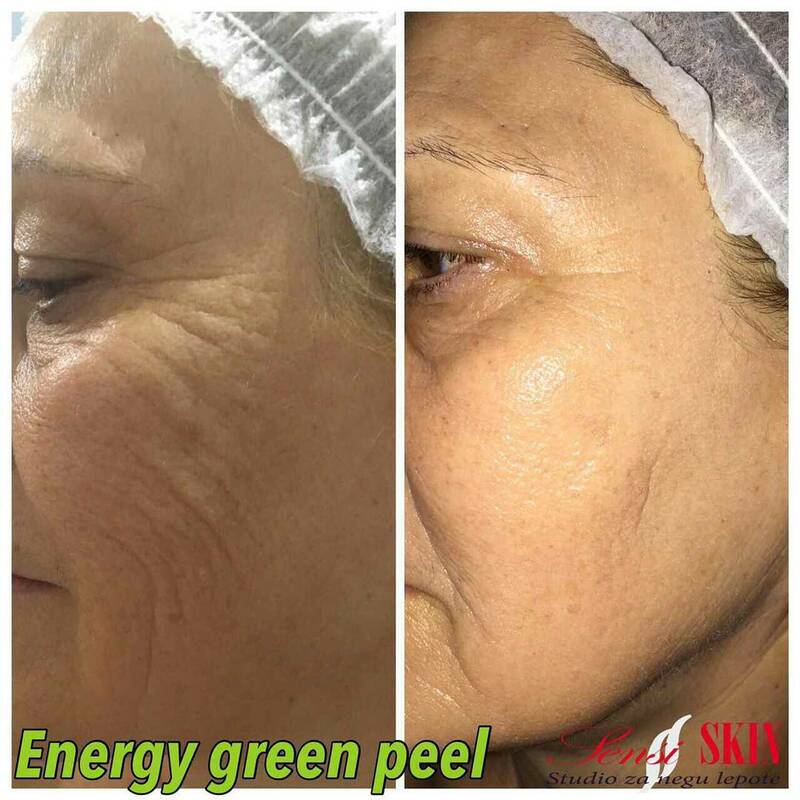 GREEN PEEL® Fresh Up vitalizes the cells and your skin glows with a new freshness. 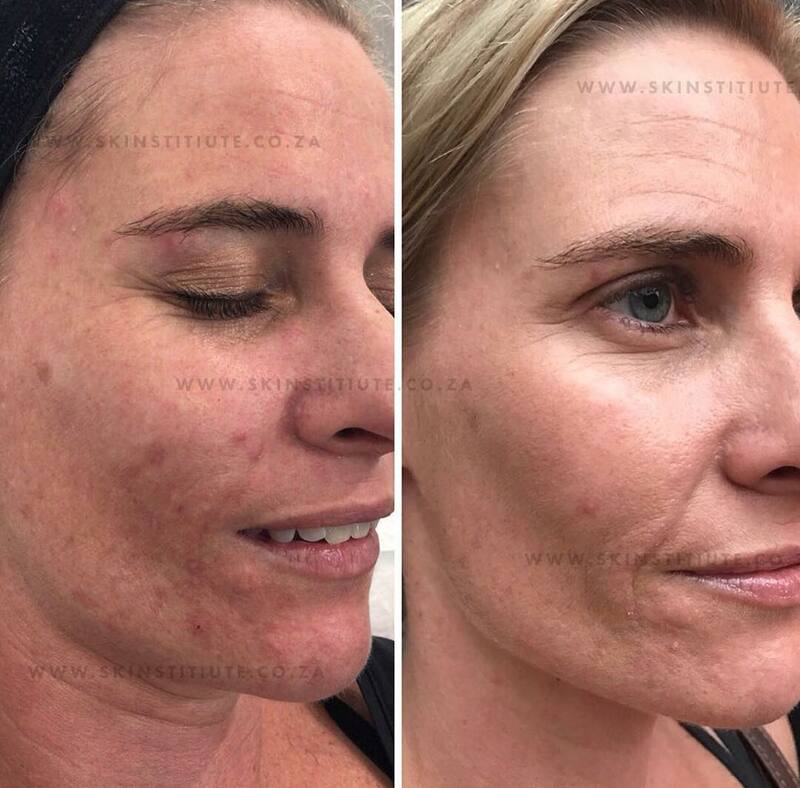 This is why this treatment is the ideal problem solver for tired skin without freshness and serves as an effective prevention helper against premature aging and loss of elasticity - even if your skin hasn’t started showing the signs of age yet. 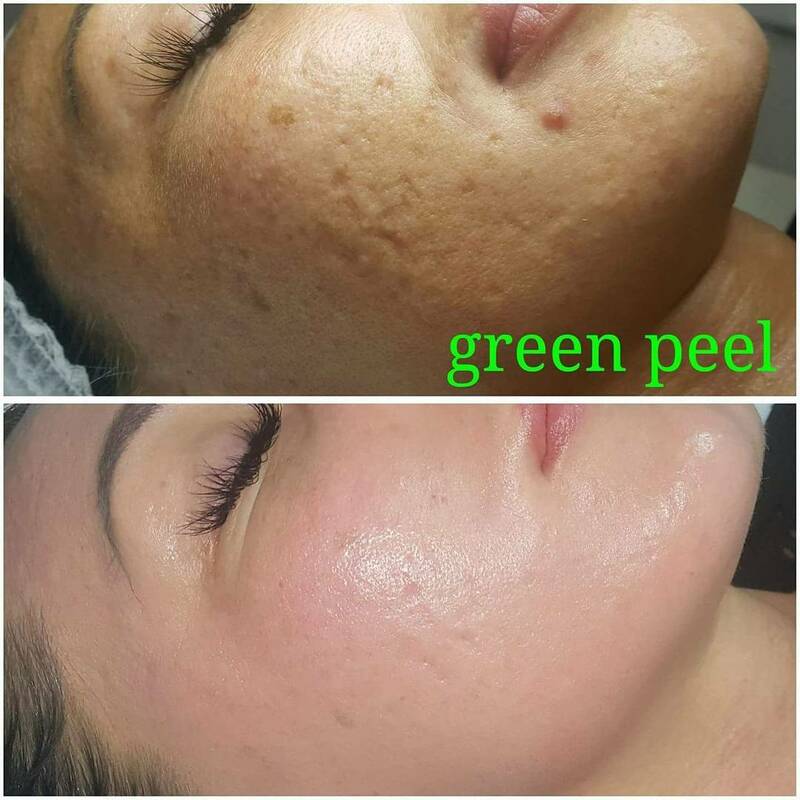 Can a GREEN PEEL® treatment be performed during summertime? 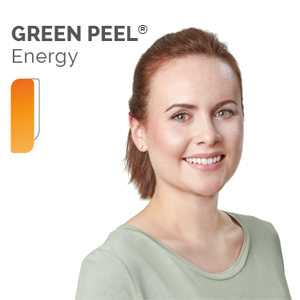 Is a GREEN PEEL® treatment painful? 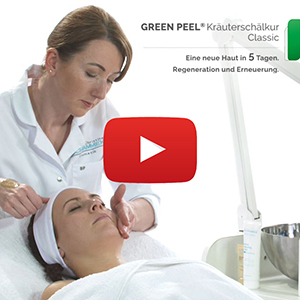 There exist 3 methods of the GREEN PEEL® Herbal Peeling: Fresh up, Energy and Classic. 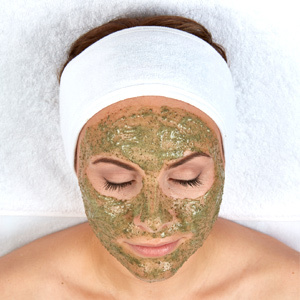 During all three methods our GREEN PEEL® Herbs are massaged into the skin. 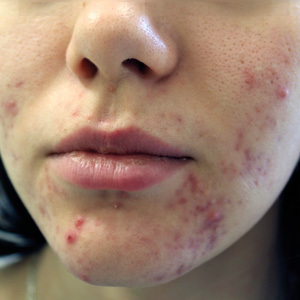 Depending on massage pressure and consistency of the skin, this can involve sparkling and prickling, but no pain. At the utmost the herbal massage can be slightly uncomfortable. The main difference between the stronger method, our GREEN PEEL® Classic and the 2 softer methods are pressure and duration of massage. This can't be considered a wellness treatment, but it is well bearable. No. 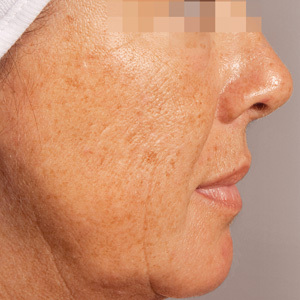 The strength of the skin peeling is dependent on individual condition. 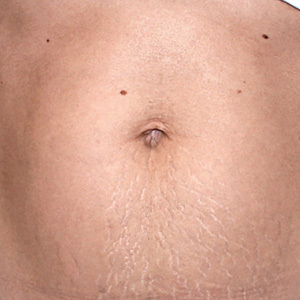 However, this has no influence on the effect of GREEN PEEL® Herbal Peeling. 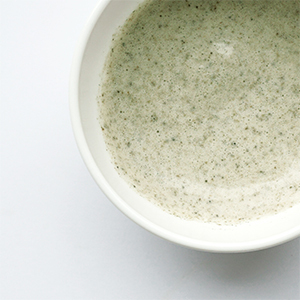 The herbs always initiate a renewal- and regeneration process in the skin. 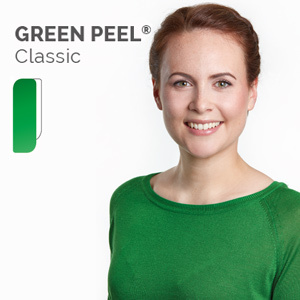 May I not leave the house after a GREEN PEEL® Classic? No, every skin is individual. 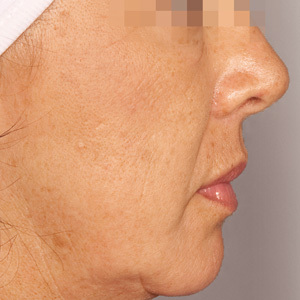 Before the treatment, it is hardly possible to predict how intense the peeling will be. 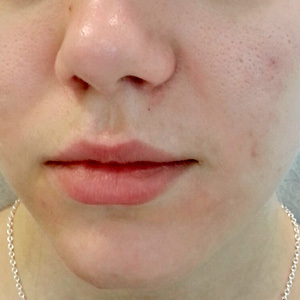 With most customers the skin starts to peel on the 3rd day after treatment. 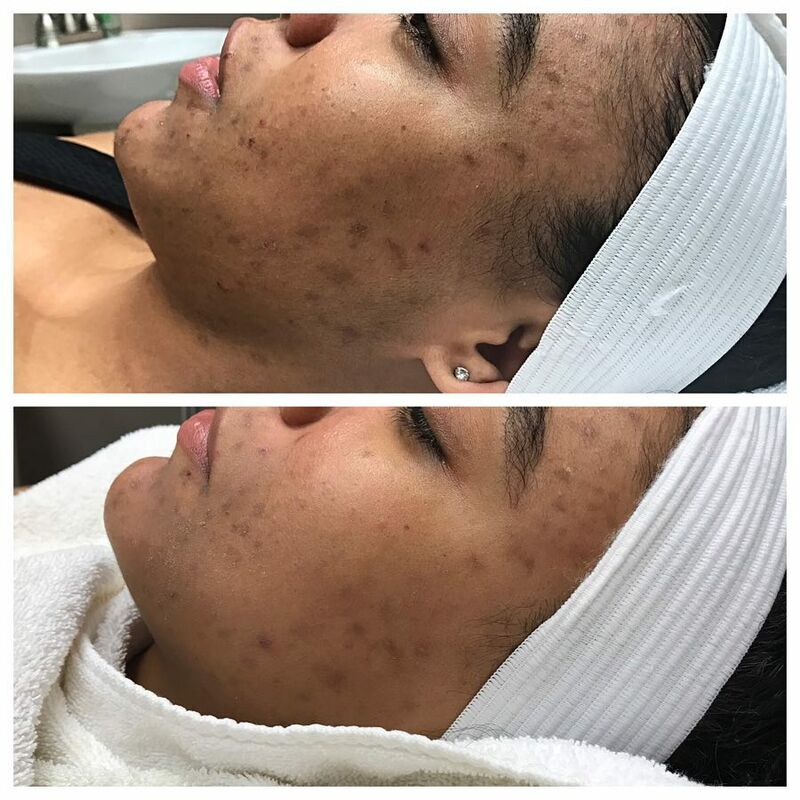 On day 5, after the mandatory Beauty Finish treatment, the peeling process is mostly completed. 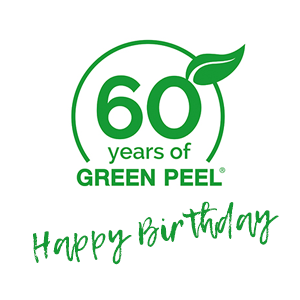 If you prefer not to be seen in public during the peeling process, you should schedule the GREEN PEEL® Herbal Peeling treatment for a Wednesday, so the peeling process will take place over the weekend. 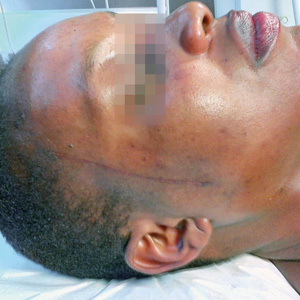 The post-treatment will follow on Monday then and downtime (if any) is minimized. Which one is the right treatment for me? 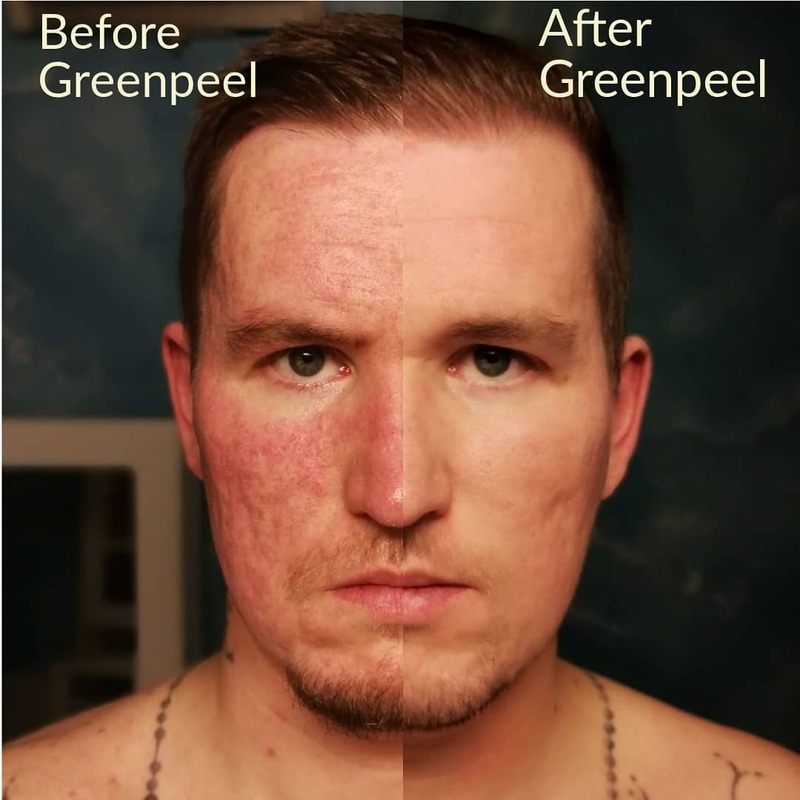 GREEN PEEL® Energy (without skin peeling) is suitable for: age related skin conditions, impurities, pale skin, scars and pigmentation disorders**.